Successful Presentations at FEW and FAPAC on "Communicating Across Differences"
Tso presented at the Federally Employed Women's 39th conference in July 2008. The topic was: Dare to Talk: Effective Conversations Across Racial and Cultural Differences. Tso also presented two talks at the 23rd National Leadership Training Conference held by Federal Asian Pacific American Council in New York in June. 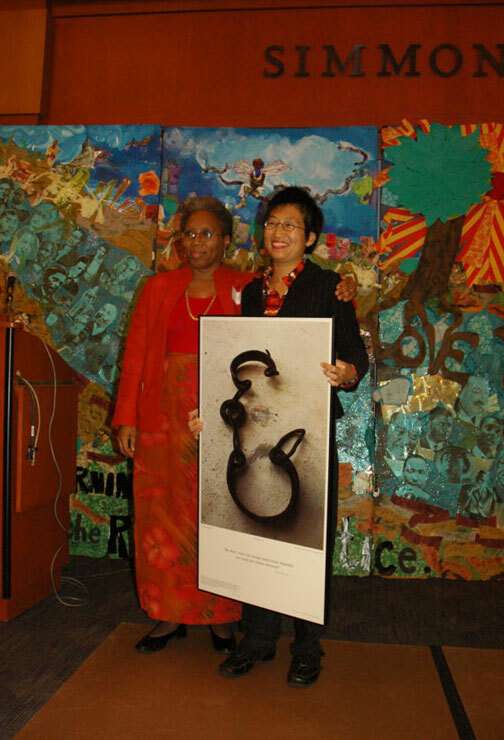 Judy Tso will present a Dare to Talk workshop at the Columbus Hilton on April 29, 2009. Tso, a member of the Executive Board of the AAA is happy to announcement the new race traveling exhibit and website. "Tso helped the audience understand the importance of culture as a way of enabling people to live and work together." FDIC News June 2006. 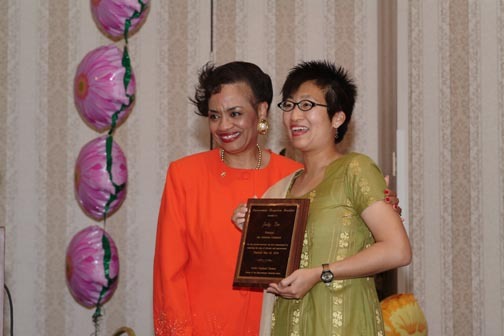 The Community Change Drylongso Awards Celebration is a festive and spirited event honoring the many people who work tirelessly for racial justice, often with little or no recognition. The 2005 Drylongso Awardees are: Mukiya Baker-Gomez, community activist and Chief of Staff to State Representative Gloria Fox; Dr. Vivian Dalila Carlo, Assistant Professor, School of Education, Lesley University; Karen Miller, President, Boston Society of Vulcans; Yawu Miller, Senior Editor, Bay State Banner; Libbie Shufro: President and CEO, Boston Center for the Arts; Candelaria Silva-Collins, Director, ACT Roxbury Consortium; Judy Tso, Social Scientist, President, Aha Solutions Unlimited; Union of Minority Neighborhoods, working to ensure that skilled, committed, grassroots leader of color effectively organize on issues of concern in their communities, regions, and nation. Community Change, Inc., was founded in 1968 to promote racial justice and equity by challenging systemic racism and acting as a catalyst for anti-racist action and learning.